If you're dealing with an e-commerce business, you know that sometimes you'll have to deal with unwanted interruptions or suspicious information, such as spamming or fraudulent information submission. In this article, we'll discuss a useful extension provided by OpenCart in the core, "Fraudlabs Pro", which helps you to analyze fraudulent order submissions. FraudLabs Pro is a third-party service which helps you to detect fraudulent transactions with the combination of different rules set up in their back-end. 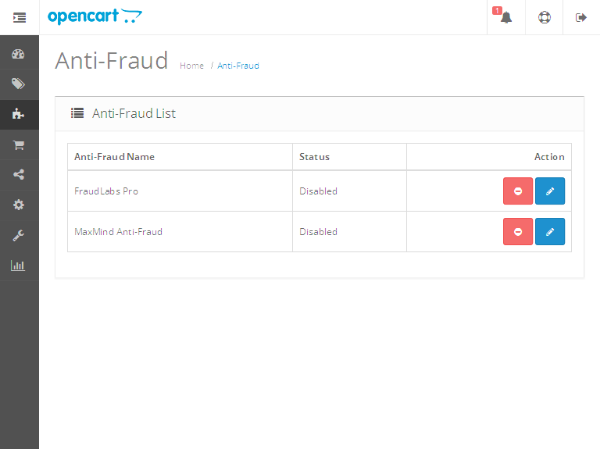 Luckily, we have an anti-fraud extension available using this service in the core of OpenCart. Today, we'll explore how to enable and configure it to detect and analyze fraudulent orders. 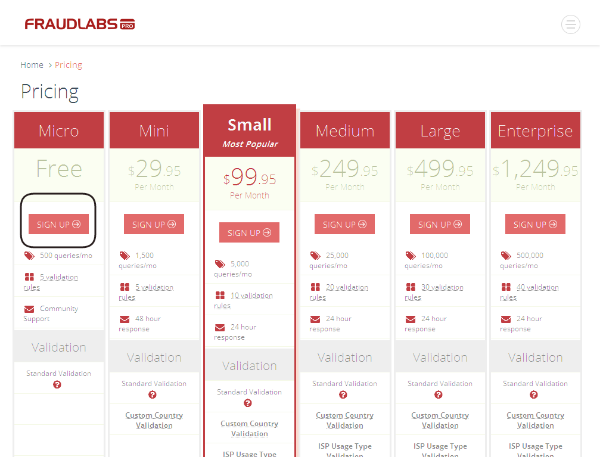 The FraudLabs Pro service offers different plans to choose from. For the course of this article, I'll select the "Micro" plan, which is free and provides basic fraud detection. We'll start with basic account setup and configuration. Further, we'll set up the API credentials with the OpenCart extension. Finally, we'll conclude the article by testing a dummy order. Why Is Fraud Detection Necessary? Detecting fraudulent orders is a tricky thing, as you'll need to inspect different parameters and the context of the information itself. Of course, you can verify it by going through each order manually before it's processed further for shipping. But that's going to be cumbersome and impractical as the traffic increases. So you'll at least need some kind of automation on that part. There are lots of online services available which could analyze the information in real time and inform you about it if there's something suspicious going on. We'll see one such service which is already available in the core of OpenCart. I assume that you're using the latest version of OpenCart. Also, I'll use the "FraudLabs Pro" extension for example purposes only. By no means am I promoting this particular product, nor have I used it personally. So it's up to you to choose the right product for your requirements. 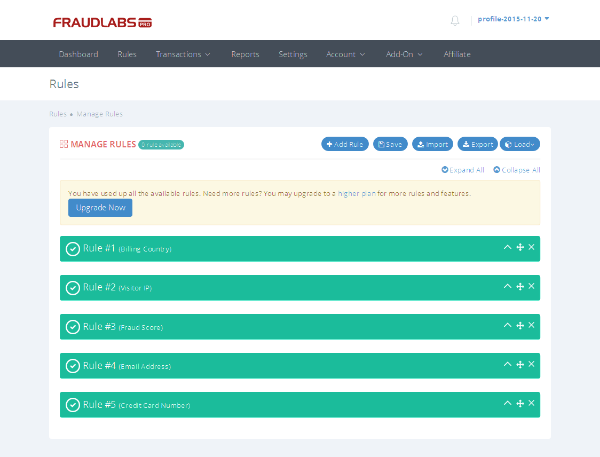 Let's create a FraudLabs Pro account, as it's required to get the API credentials. Go to https://www.fraudlabspro.com and click on the Sign Up button or Pricing in the footer to get the pricing page. I'll go with the Micro plan, so I'll click on the Sign Up button for that particular plan. In the next step, you'll need to fill in the sign-up form, and you'll receive a confirmation email once your account is created. 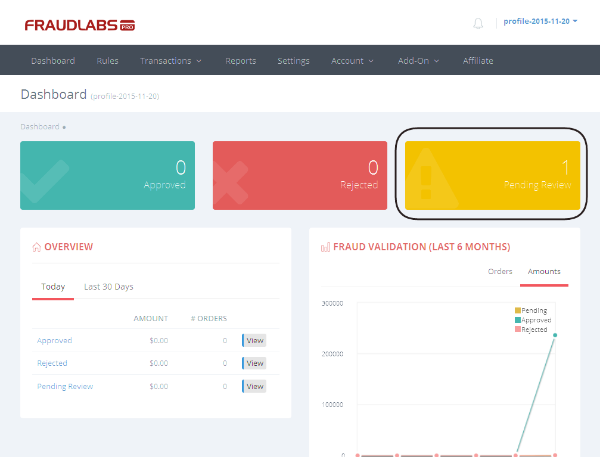 Also, you'll receive a couple of other emails after sign-up, but the email with the subject FraudLabsPro.com FraudLabs Pro Micro Plan is an important one as it contains the API Key of your account. So just note down the API key as we'll need it in the next section! 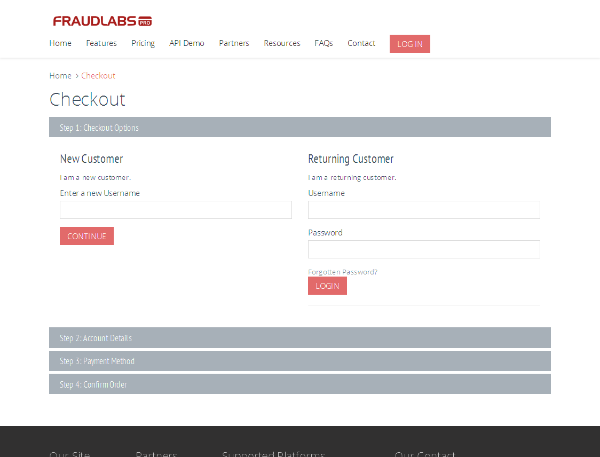 Also, you should log in to the FraudLabs Pro account and see the different features available. One of the important links is Rules, which allows you to set up the different rules, and it will be used to mark the order as a fraud order. With a Free account, you can only set up five rules. So explore it and set up the rules as per your requirements. So you've created an account with the FraudLabs Pro service. Now it's time to configure the OpenCart extension for that service. Head over to the back-end and go to Extensions > Anti-Fraud, and you'll see a list of a couple of anti-fraud extensions on that page. Install the FraudLabs Pro extension if it's not already installed, and click on the Edit button to configure that extension. Fill in the information as suggested and save the changes. Now, you've set up all the required stuff and it's time to test how it works, which is the recipe of our next section. Go to the front-end and create an order. Try to fill in the order information in such a way that it's detected as a fraud as per the rules set up in the FraudLabs Pro account. One of the easiest ways is to enter different billing and shipping countries. 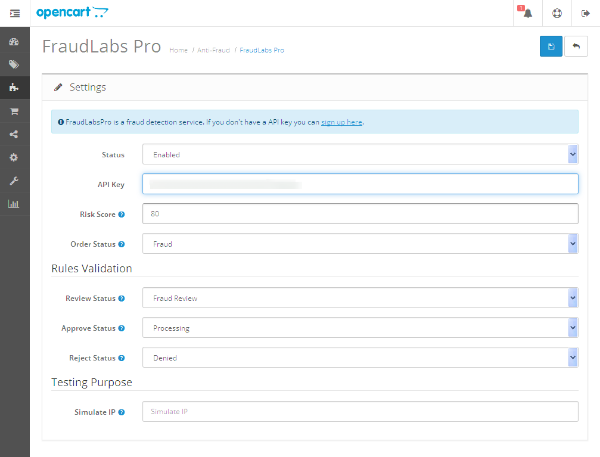 Now, once you've placed a dummy order, go to the dashboard of your FraudLabs Pro account. You'll see that you need to review the last order you've made. You could manually review it and take further actions as needed. It's also marked as a Fraud Review in the back-end of OpenCart as well. You should also receive an email from the FraudLabs Pro service as soon as the suspicious order is placed. In this way, you could set up fraud detection in your store, which will help you to detect fraudulent orders and get rid of them as soon as they're placed. In this article, we've discussed how you could use the FraudLabs Pro service with OpenCart to detect fraudulent orders and get notified about it. As always, if you're looking for additional OpenCart tools, utilities, extensions, and so on that you can leverage in your own projects or for your own education, don't forget to see what we have available in the marketplace. Don't forget to provide your feedback using the feed below!